Prehistoric caves and Roman ships on the Ligurian Riviera are the two main highlights of this fantastic educational tour that will inspire your students and fascinate them on visits to the archaeological sites of Liguria. 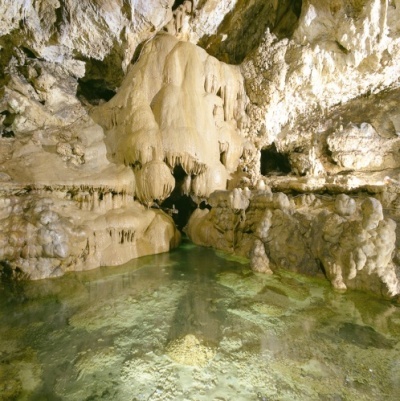 2 half days to discover prehistoric caves and remains of Roman ships. On the Savona side of the Ligurian Riviera it is possible to visit the spectacular Grotte di Toirano, caves rich of natural rock formations and of traces of prehistoric inhabitants: from a look at the cemetery of bones, an enormous accumulation of bones of Ursus Spelaeus , to a walk through the corridor of footprints left by Cro-magnon man. Next stop is Albenga, a city with a beautifully-preserved medieval historic center, and a visit to the Museo Navale Romano in which remnants of the hull and the contents of a cargo ship dating from the beginning of the 1st century B.C. are exhibited. Here you will also find materials recovered during various salvage operations, and, in particular, a large number of wine amphorae, positioned as they were originally found amongst the cargo in the hold of the ship. Upon return, it is possible to visit the village of Cervo, overlooking the sea and dominated by the baroque church of the Corallini.